Why do people need to vectorize their images? Bitmap images are not suitable for print. The main reason for this is because they are based on pixels that tend to lose their quality. There can appear blurry, pixelated, or with imperfections. Another reason is that some programs are not able to work with bitmap images. Programs for engravers, sign makers, printers or architects typically require vector files. From business cards to billboards, most types of printed media can benefit from the crisp and consistent quality of vectorized images. A vector image that is only a few inches wide will have the same resolution when scaled to fit a large banner. Automatic vectorization can be done with a variety of software. One of the main types of software are vector editors or CAD (computer-aided design) software with auto-tracing features. The software automatically processes the raster to vector conversion. Bitmap files, like JPEG, GIF and PNG, are imported and converted into scalable vector files like PDF, EPS, and SVG. Users can specify settings to suit the desired characteristics of the converted image. For example, setting a color threshold could convert all colors below a certain color to black and everything else to white. You can also set white to be transparent. I don’t want to pay for software. Is there a way to vectorize my image for free? If you only have a few images to vectorize and don’t want to buy expensive CAD software for its trace image feature, there are several free online tools to help with your vectorizations. Can a graphic designer vectorize an image? Yes, a graphic designer can manually vectorize an image by hand drawing paths using digital illustration tools. The paths are traced from shapes in a source image. Like paper and pencil tracing, digital tracing is typically done right on top of the source image. Common business graphics, like logos and icons, are often created with manual vectorization. Software vectorization can sometimes be very inaccurate. Images vectorized with software or online tools tend to be deformed and imperfect after vectorization. Graphic designers can often vectorize your images with higher accuracy. Since your design is being redrawn, it will be 100% accurate without small graphic remnants software can leave behind. When manually vectorized, your image will often be cleaner and stand out more than the original bitmap image. Illustrations, photos, and complex logos tend to have more pop when they are vectorized. The imperfections and inaccuracies of auto-traced images will often render the images unusable. Manual vectorization is done by a graphic designer, who redraws an image with digital illustration tools. Auto-tracing is done with graphics software, using tracing tools that can convert bitmap shapes to vector objects. Even complex images and photos can be vectorized very well. Takes time to complete. Depending on the image, graphic designers can need a day or more to complete the job. It’s a fast process that might only take a few minutes to complete. Can be done anywhere by anyone. Supports all vector and cad formats. Usually works best for only simple black and white images. Can leave imperfections and odd shaping. The quality of a manual vectorization depends largely on the drawing and tracing skills of the graphic designer. Manual vectorization is generally more flexible, since a source image can be vectorized regardless of its resolution. The quality of an automatic vectorization depends on the quality of the source image. For an image to be neatly auto-traced, a high-resolution source image is often needed. As with many things that are done automatically, automatic vectorization can save a considerable amount of time—especially with a highly-detailed source image. However, even with its settings options, auto-tracing can often leave too much detail or generate odd shapes that are not true to the source image. 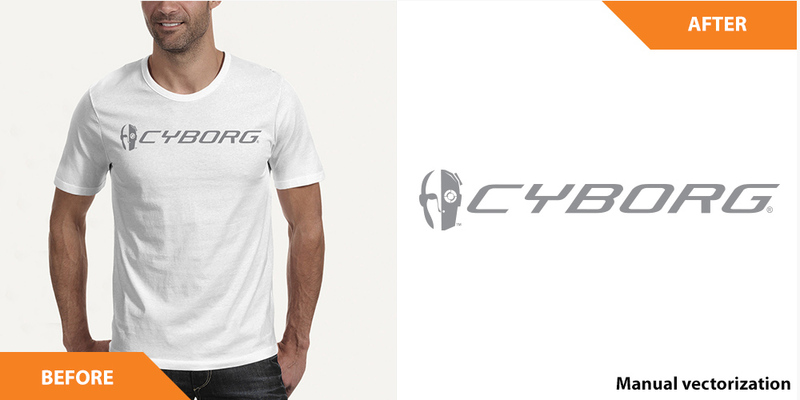 For a more crisp and clean look, manual vectorization with a good graphic designer is probably the better method. More often than not, your image will be neater than an auto-traced image that can contain imperfect lines and tiny, undesired artifacts. 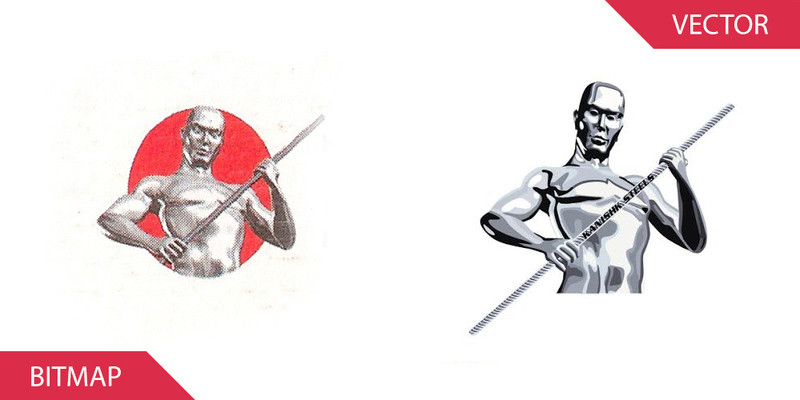 The attached images show the difference between manual vectorization and auto-tracing. The image on top is an auto-traced image. The image on the bottom is a manually vectorized image. Reviewing this sample image closely may help you determine which vector conversion method is right for your image. Since screen printers typically require color separation, manual vectorization is the suggested method here. 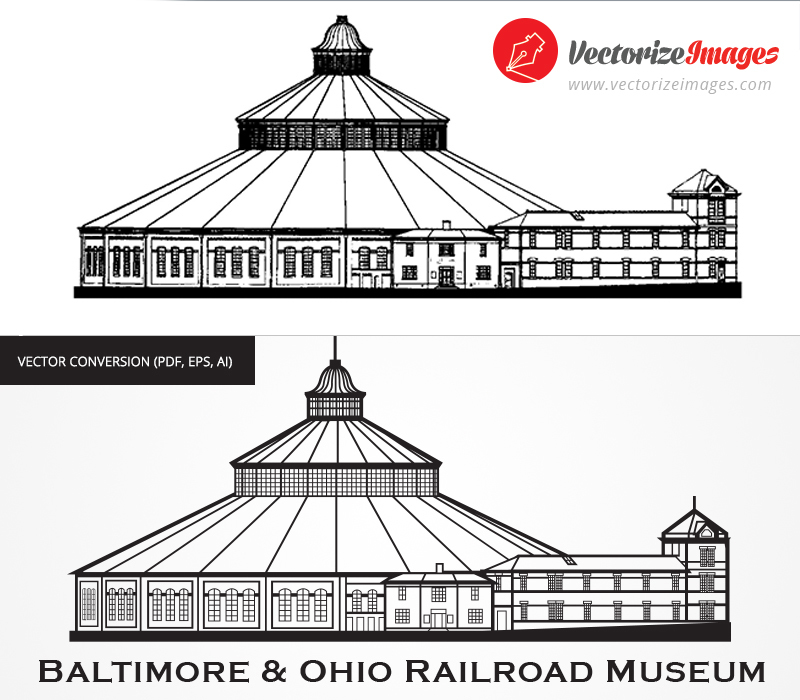 Since architectural drawings are meant to be accurate representations of actual buildings, manual vectorization is the suggested method here. Auto-trace software can often leave inaccurate and/or duplicate lines, which could be highly detrimental to a construction project. Since engraving machinery cuts with solid and precise lines, manual vectorization is the suggested method here. 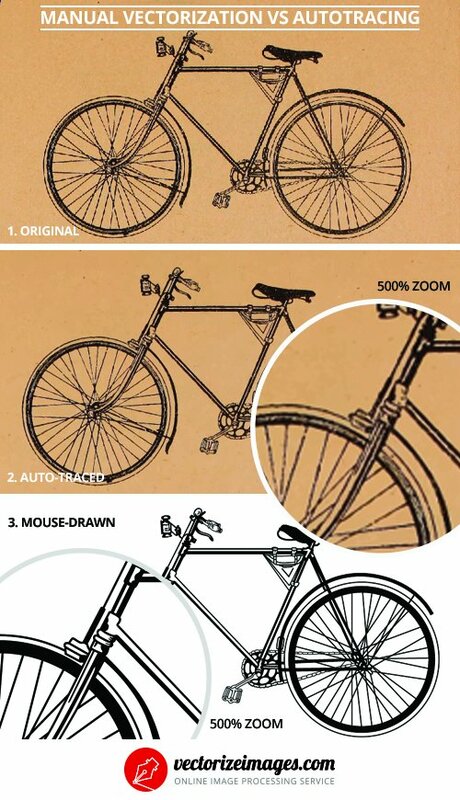 If you’re looking to quickly vectorize an image that is more or less insignificant, then using auto-trace software is the suggested vectorization method—at least to start. To present your company in the most professional manner possible, you should make every effort to design and publish branding materials that are best for your company’s image. Manually vectorizing your branding materials will help to relay a professional and consistent identity across all platforms and types of media. Perfecting your branding details with vectorization can lead to respect and trust from your customers, which could ultimately translate into higher sales. If you have access to auto-tracing software, it probably won’t hurt to try auto-tracing your image first. If needed, you can then use a graphic designer as your vector image creator.